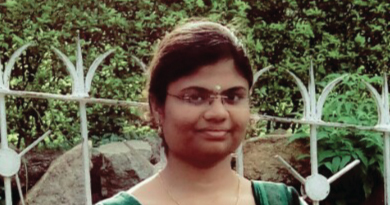 About the Author: Yasaswini Kopparthi, a student of Shri Vishnu Engineering College for Women, shares her experience of working on blockchain technology and developing an app for detecting fraudulent loans. HR Data Management – We stressed on the need of keeping records of employee and staff details and how blockchain technology could be beneficial in establishing the information and using it to present the credentials of an employee from one job to another. Fake goods identification – We pondered over the rampant counterfeiting and piracy and came up with an idea that blockchain technology could be used to allot a unique identity to every product. This would record changes in unauthorized transactions ensuring transparency and security. This concept of Block Verify intended to make verification of goods as easy as scanning QR codes. Credit Card fraud detection – We elucidated how blockchain technology can make tampering with credit cards highly impossible. The first two ideas were difficult to implement but the third one caught the eye of the jury, and we were selected for the internship at Gitams University (Fintech Valley) in Visakhapatnam wherein I was put in a team of three to develop an Android application for our project. The internship began with an ideation phase wherein our idea of Detecting Fraudulent Loans using Blockchain technology was screened and judged as per various parameters such as target market, the scope of the idea, the benefit of using blockchain technology for the project, present competitors, etc. The concept behind it was to facilitate the process of validation of documents submitted by the people applying for loans. Making extensions to this idea was not an easy task; it was more than code and deploy! After analyzing several criteria and evaluating our application, we presented it to the CEO of Idea Labs, Pankaj Diwan, who did a final evaluation. We waved goodbye to the ideation phase and entered the development phase. There wasn’t much information available on the internet about blockchain technology as it was new. We had two mentors to help us with the development of our app named ‘Property Pledge’. The initial struggle made us realize the importance of teamwork. As the development of the app progressed, we divided the task into different modules and began developing them under the guidance of our mentors. While working on the app, we took many lessons about the technology and used it to complete the development of the app before the deadline. Then we took off with UI/UX designing after which we made some demo and working videos along with power point presentations. The app provides a highly secure mechanism and aims to secure documents while enhancing transparency and reducing costs. The app provides a highly secure mechanism and aims to secure documents while enhancing transparency and reducing costs. A registration form appears on the home screen wherein user feeds in the details such as name, address, Aadhaar number, email id, etc. The user can request for a loan and will be redirected to another page where the details about the loan such as the name of the owner, location of the property, name of the company, document Id, property values, etc., are fed. A unique key for all these details is stored in the blockchain using which a company can authenticate the user. The app also targets administrators. For this, we designed a registration page wherein a company registers itself by providing details such as its name, location, interest rates, etc. The next screen shows the users who have requested for a loan and their details. The company can validate the user based on the data about him/her. There is a transparency for both companies and users. Once all this was done, our app was evaluated by some embellished people such as Pankaj Diwan, the CEO of Idea Labs; Ramesh Loganadhan, the former President of HYSEA; and J.A. Chowdhary, Special Chief Secretary and IT advisor to CM of Andhra Pradesh. They appreciated our efforts and provided us with valuable feedbacks. We also got an opportunity to present our application in the International Conference on Blockchain Technology which was being held in India for the first time. The internship was full of learning and has helped me a lot in my endeavors with corporates. Are you inspired by Yasaswini’s journey? Check out these cool programming internships. Many many thanks for the visit here this amazing blog have to seen the free online klondike solitaire games many players have to like to join this great fun. Really an awesome and informative blog.